An Integrative Approach to Therapy and Supervision presents an innovative and flexible model for therapy and supervision practice. The model draws on ideas from the psychological traditions of Transactional Analysis, Gestalt theory and Cognitive Behavioural Therapy to develop an integrated approach to working with clients and to developing a supervisor-supervisee relationship that can be adapted to suit the needs of individual personalities and situations. The authors lay out the theory underlying the model, how it relates to existing models of supervision, and demonstrate how the model works in practice using case material to illustrate the range of approaches that can be applied in a given scenario. 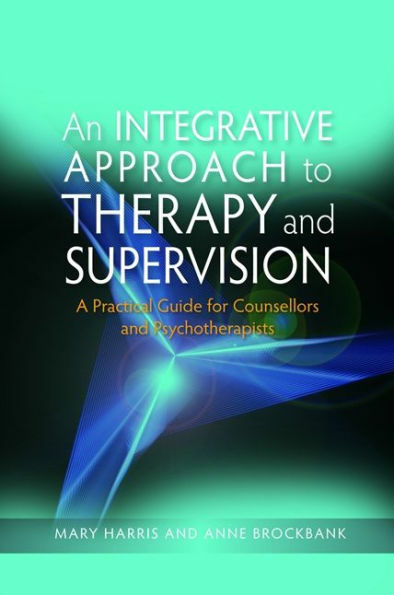 This book is essential reading for both new and experienced practitioners, as well as those responsible for training therapists, counsellors and supervisors. 1. An Integrative Approach to Therapy and Supervision: The FIT Model. 2. The Person-Centred Approach in Therapy and Supervision. 3. Learning Theory in Therapy and Supervision. Part 2: The FIT Model Applied in Therapy. 4. Transactional Analysis in Therapy. 7. Integrating TA, Gestalt and CBT in Therapy. Part 3: The FIT Model in Supervision. 9. Using Transactional Analysis in Supervision. 10. Using Gestalt in Supervision. 11. Using Cognitive Behavioural Therapy in Supervision. 12. Using the FIT Model for Individual Supervision. 13. Using the FIT Model for Group Supervision. Appendix A: An Example of Ground Rules. Appendix C: Setting Goals or Objectives.